EchoBright* Needles offer a unique 360-degree laser-etched echogenic tip for improved ultrasound visualization during single shot peripheral nerve blocks. Available in either a 21-degree facet bevel or Tuohy needle tip configuration, as well as a nerve stimulating or non-stimulating design. EchoBright* Needles offer a unique 360-degree laser-etched echogenic tip for improved ultrasound visualization during single shot peripheral nerve blocks. Graduated markings for depth guidance. Choice of either a 21-degree facet bevel or Tuohy needle tip configuration, as well as a nerve stimulating or non-stimulating design. 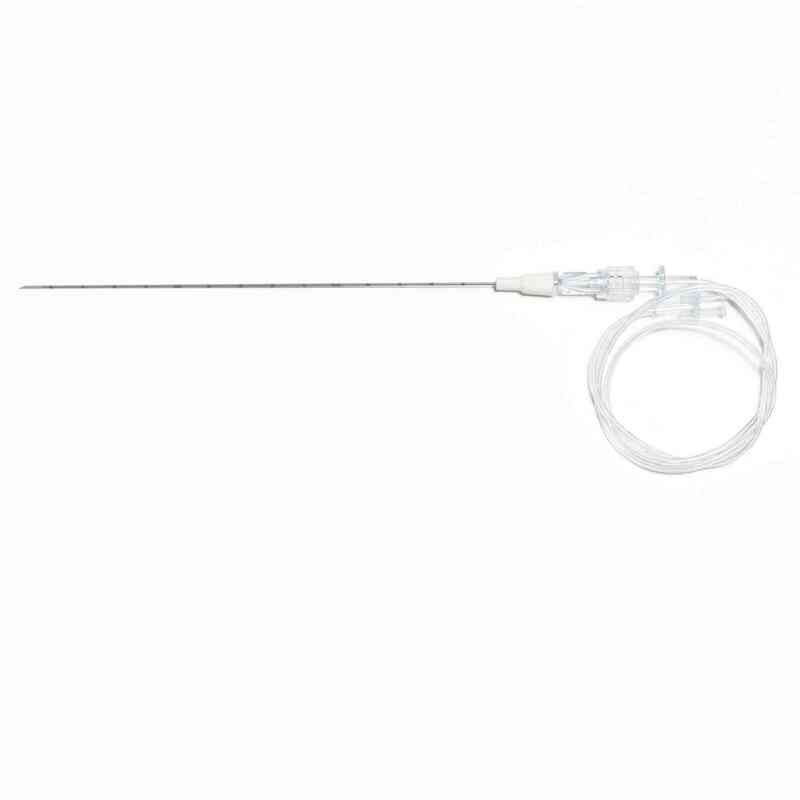 Echogenic needles available in 18 GA, 20 GA, and 22 GA and 2 in. (50 mm), 4 in. (100 mm), and 6 in. (150 mm) lengths. 10 individually packaged needles per case.The units are single use and are EO sterilized.